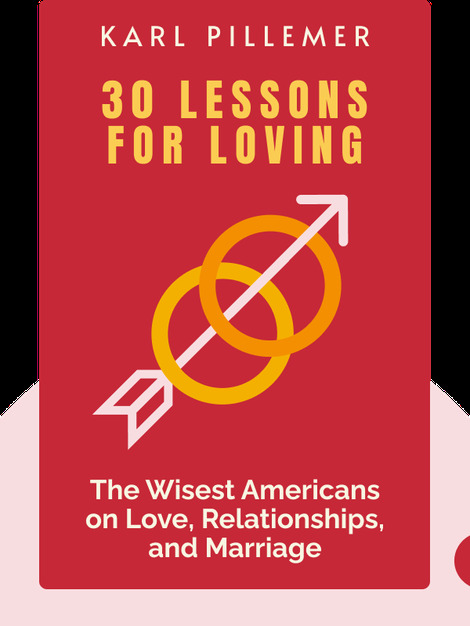 30 Lessons for Loving (2015) shares advice from hundreds of elderly people to reveal the secrets of building a long-lasting relationship, from first encounter to “happily ever after.” You’ll learn how to tell if your current crush might be “the one,” how to communicate in a healthy way and how to keep the passion alive in a long-term relationship. 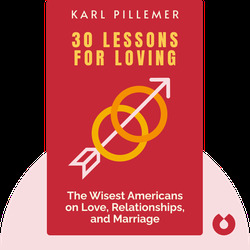 Karl Pillemer teaches human development at Cornell University and is a professor of gerontology in medicine at the Weill Cornell Medical College. He is internationally renowned for his contributions to gerontology and insight into how people change over the course of their lives.